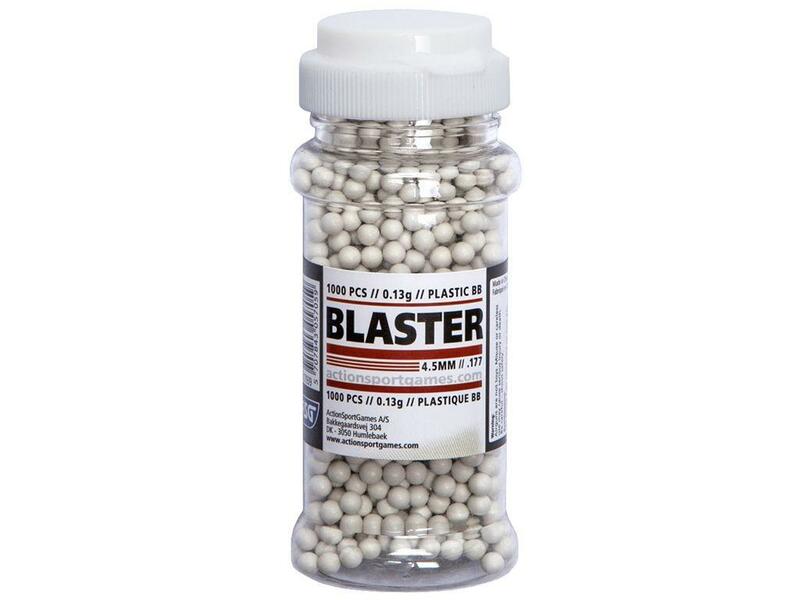 ASG Blaster .177 Plastic Airgun BBs | ReplicaAirguns.ca | New Website! Comments: Accidents happen, but they don't have to hurt! ASG Blaster plastic BBs are softer and lighter than steel BBs, so they're much less likely to lead to accidental injuries due to misfires and ricochets. With a low-cost economic design, you can also afford more for casual plinking and target practice.